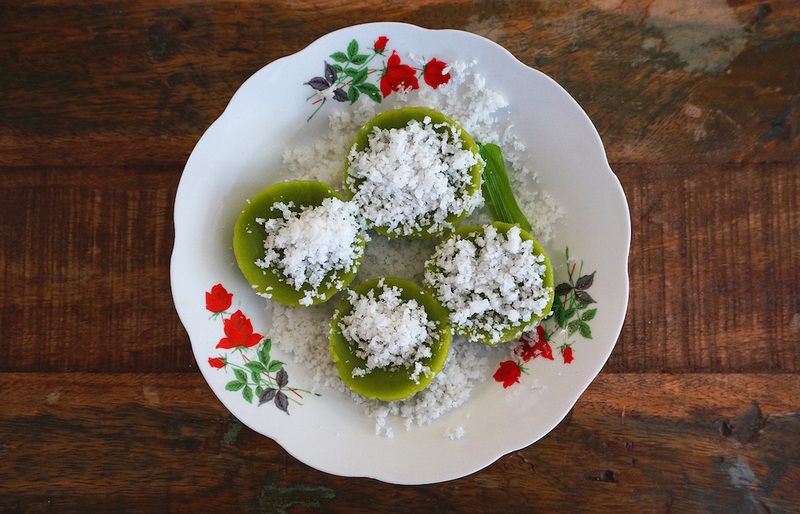 Here is a wonderful version of the popular Kuih Kosui, flavored with pure pandanus juice. This makes a great afternoon snack and fantastic with tea or coffee. Combine all the batter ingredients, mix well until it's smooth. Then strain into a measuring jug or cup. Preheat the small tea cups over high heat for 3 to 4 minutes. Pour the batter into the cups and steam for about 30 to 35 minutes. Remove and let cool before serving. Meanwhile, steam the coconut for 3 to 4 minutes. To serve; remove the kuih from the cups and coat with grated coconut.